The Earliest Description of Paper Splitting? 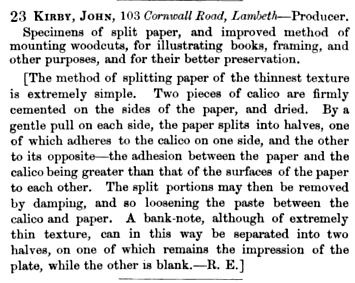 This is the earliest description of paper splitting I’ve seen. 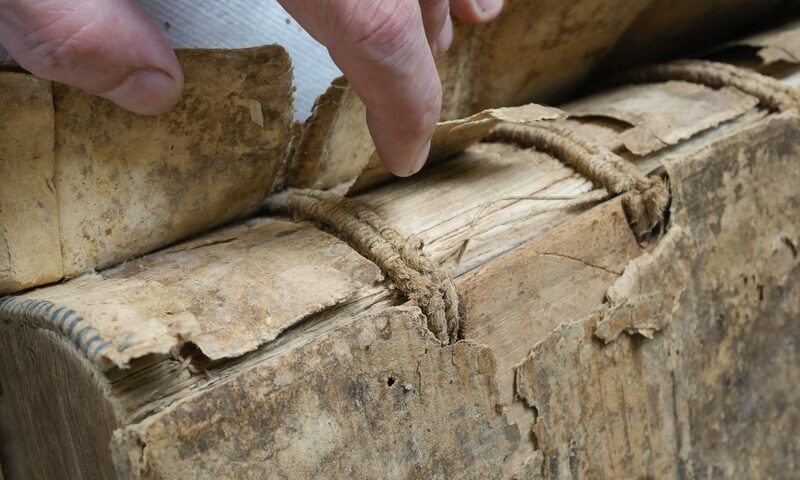 It is also the earliest mention of splitting as a means preservation that I have found, though it does not specify why splitting a piece of paper into two might aid in its preservation. It suggests it can double your paper money, though. An early attempt to monetize paper splitting comes from a bookbinder in England in the late nineteenth century. 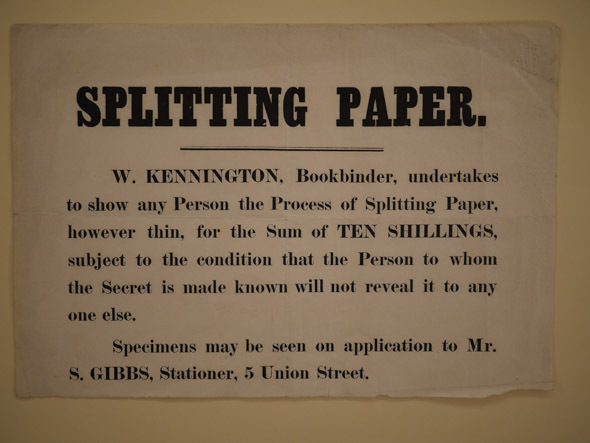 Kennington’s secret of paper splitting must have been quite simple since he required a non-disclosure agreement. This broadside is not dated, but looks ca. 1870-1880. As recently as 15 years ago, machine paper splitting was still being actively researched, practiced, and machines developed. It is quite likely the last mass attempt to preserve brittle paper. Now we digitize. Splitting Paper Broadside, n.d. Cary Graphic Arts Collection, Bernard C. Middleton Collection, Rochester Institute of Technology. Previous PostPrevious Improved Corner Cutting Jig and Loaded Stick!